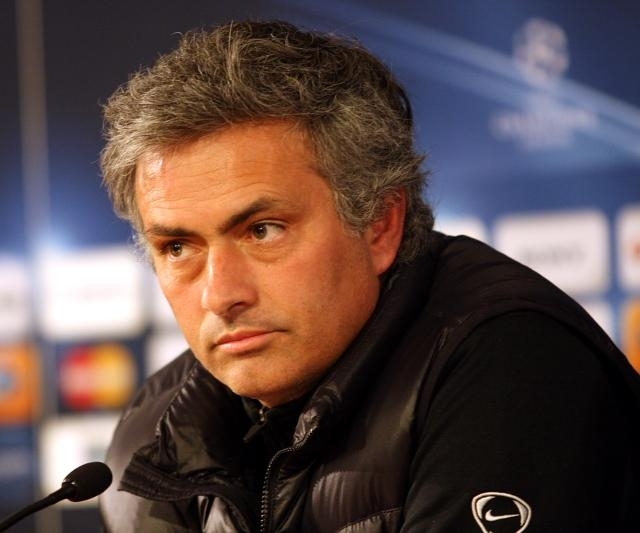 Chelsea manager Jose Mourinho is widely regarded as one of the best managers in the world, as well as one of the best at dealing with the press. But how does he maintain his popularity with the media, and use it to his advantage? The first week of the Australian Open in Melbourne has seen temperatures of 42ºC, and while the temperatures have caused problems, so has the tournament officials’ attempts to deal with the heat. Congratulations to Thomas Hitzlsperger, the former German international footballer who came out as gay yesterday. I’m happy that he feels comfortable enough to go public about his sexuality, can act as a role model for those who want to be professional athletes, and has received widespread positive responses to his announcement. Another week, another major knee injury in the National Football League. This time it is Patriots tight end Rob Gronkowski who has been ruled out for at least the rest of this season with a torn ACL. The defence of the (legally clean) hit on his knee is that defensive players have to tackle low, since they can’t hit high. But what about the middle? This week’s early contender for ‘Bad Idea of the Week’ is the National Football League (NFL)’s proposal to be able to compel teams to appear on HBO’s Hard Knocks. Those teams that have appeared on the show in the previous decade. While some of these teams could be interesting to watch, the proposal is, overall, a bad idea. But why? First of all, from the league’s point of view it makes total sense. After the Jets (read: Rex Ryan) appearance on the show in 2010 and the lockout in 2012 there were few teams willing to let the cameras in. The Dolphins season was not fantastic, though it did offer the producers the opportunity to show lots of slow motion shots of the Dolphins cheerleaders. There was a fair bit of filler of this type each episode. This season the Bengals appeared on the show for the second time, and again couldn’t hold a candle to the interest of the Jets season. However, there was still an audience for the show, and the money brought in to the league is something that they will not want to lose. Under this proposal that risk has been totally removed. With the criteria of only making poorly performing teams appear on the show, it will also help the league to get more people interested in whatever franchise is featured – as a marketing opportunity for the league, the idea certainly holds water. For the teams, however, it is quite a different deal. Some teams, such as the Giants and Patriots, hardly seem interested in hosting the show, and as Andrew Brandt, former front office executive with the Packers revealed, they weren’t the only franchises totally unwilling to let the cameras in. If the team is forced to let the cameras into their world, it quite likely that we’ll see more performances like that of James Harrison with the Bengals, who pretty much avoided the Hard Knocks cameras as much as possible (much like he has avoided being a factor on the field). And finally, the audience. While the show can be interesting, and offer some insight into the world of NFL training camp, how much less interesting and enjoyable will the show be if no one wants the cameras to be there? For fans of the teams that appear, it could make their team look foolish, reticent or just like a bunch of assholes. It will be hard for any team that appears on the show against it’s will to build much of a neutral following if they clearly look awkward, uninterested or like they’re trying too hard (imagine an entire team made up of Taylor Mays). While this idea can be seen as good business sense for the league, it could be a really poor move for the quality of the show, the reputation of the teams and the people who ought to be important when planning a reality TV show: the audience. The first of two National Football League (NFL) International Series games has been played at Wembley this past weekend, and as usual, discussion turns to whether an NFL team could be based in London. One issue frequently cited is the competition for fans with other sports. With the capital already hosting athletics, cricket, rugby and several football teams during the year, is there really space for another sport? And will the NFL, with it’s glitz and swagger, have a negative effect on other parts of the London sports map? “There could be a lot of cross-over activities to be had. I think if you’ve got a customer who wants to go and see live events they’re happy to go to more types of events. “No, because I don’t think the American football fans will come just from London. They’ll come from all over the UK and Europe. They would travel for that. And if the league can continue to attract fans from across Europe to Wembley, then the increased number of fans that might be tempted to see London-based teams could benefit teams like Palace. Fulham are, of course, the other team who could look to benefit from the NFL foot traffic, given their links to the Jaguars. While the likeliness of the Jags moving to London any time soon is small (they would have to pay $100 million to get out of their lease in Florida before 2030) they are certainly in prime position to try and develop a UK fan base, given their ties to Fulham through their shared owner. Cross-promotion, special offers and the increased marketing opportunities that the Jaguars enjoy in the UK (they can market the team as they would in their local region, unlike any other NFL side) could give them a real opportunity to grow their support. Being able to promote with and through Fulham at the same time could help them to tap into that customer base that Alexander mentioned. English football on Saturday at Craven Cottage, American football on Sunday at Wembley. Premier League and the NFL, back to back. That’s a strong combination, and could be used as a draw for fans of both the round and oval ball games. For the first time in my life, Man United have a manager who isn’t Alex Ferguson. For the first time since they last got impatient, Man City have a manager who isn’t Roberto Mancini. And Chelsea have a new manager who isn’t even new. How well the new managers fit into their respective clubs will most likely be the defining factor in the title race. Mourinho has the experience of winning the Premier League, Moyes spent a decade getting the most out of an Everton team on a shoestring budget, and Pellegrini should be seen as a real upgrade over Mancini. No real analysis or deep thought here, he is just hugely entertaining. Especially since his team is one of the favourites for relegation. Going into year two of the Brendan Rodgers project, Liverpool are making some interesting signings, and seem to be shaping their squad to fit the manager’s system much more effectively than last season. If they can figure out what they are going to do about the Suarez situation (though it looks like he is staying for the time being), then they might be in a good spot to push for European qualification, and possibly even top five – though top four might be a bit too far. Arsenal have had a busy summer. They’ve been active in the transfer market and made more transfers than almost any other Premier League club. The problem with all these dealings is that they are neither exciting for fans nor hugely impactful on the quality of the first team. They’ve dumped 27 players this summer (including loans) and brought in just one. While this has been a really impressive shaving of the wage bill, the question is whether all this activity will make the team better, or just less expensive. None of the departed players were integral members of the squad, though some of them were paid like it. This is a positive, as is the fact that the team finished last season strongly, and seemed to have figured out who their best defenders are. The question that will be answered this season is if they will be able to perform at a higher standard, and with greater consistency. I’m not sure they will be able to, but it will be interesting to watch. What a shame QPR aren’t in the Premier League any more. Crystal Palace have stepped up to fill the shoes of Harry Redknapp’s latest adventure in prudent football management, so the league of London clubs stays at six teams. Chelsea topped the table last season, and following the close race for fourth last season, results against other teams in the capital might be key to Champions League qualification again this time around. Will Man City be better than their pathetic showings the last two years? Quite probably, given the experience and successes that Pellegrini has had in Europe, first with Villarreal then with Malaga. Chelsea have won European trophies the last two seasons, but even a prolonged but unsuccessful Champions League campaign would be preferable to another Europa League fixture pile-up. Arsenal will most likely do exactly as they have the last few seasons, and make it through the group before being totally outplayed by one of the main contenders, and it is anyone’s guess how United will perform in Moyes’s second Champions League campaign. Di Canio’s Swindon team were incredibly fit. From all the reports, it looks as if Sunderland will be in similar shape. Superior levels of conditioning ought to help them against some of the less talented squads, but they will still need their manager’s tactical ability to show itself in order to push into the top half of the table. Whether or not Di Canio has the tactical nous to go with his chest-thumping sideline antics will define how successful Sunderland are this season. 8. Swansea – Second Season Syndrome? Swansea were fantastic last season. They improved on their first season in the league, despite losing one of their most important players, and their manager. Michael Laudrup’s debut season even netted them a trophy. The concern will be that after the League Cup triumph, they rather went off the boil. How they will cope with the raised expectations and the added European fixtures. Paul Lambert’s team swung wildly from inexperienced and naïve to bright and inventive last season. If they can be more of the latter, and with less of the former then they could be quite good to watch. Having jettisoned old and unnecessary players like Bent and Dunne over the summer (replaced by the likes of Jores Okore), the squad has the building blocks of a good side, as long as they can build on the experiences of last season, and keep Benteke scoring goals. Suarez biting people, John Terry being racist, Suarez being racist, Tom Huddlestone’s ever growing hair. Every league season throws up something unexpected. What it will be this season is anyone’s guess, but trust me, there will be something strange taking place before the end of the season.